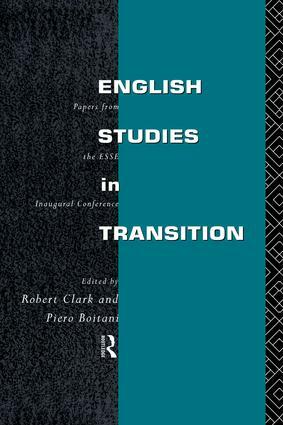 Bringing together twenty-five contributors from all over Europe, this volume represents the vitality and diversity of the current transcultural European dialogue on English studies. * the representation of women and the notion of nationalism in post-colonial literature. The significance of this volume lies not only in the quality of the individual contributions but also in the fact that it marks an important turning point in the history of English studies in Europe.